Individuals with a schizophrenia spectrum disorder are among the most marginalized of any chronic illness group, having poorer performance and outcomes in nearly every domain of health and functioning. Poor social functioning is now widely acknowledged to be a major indicator of the prognosis of schizophrenia as well as a major contributor to illness outcome. Social and functional disabilities have serious detrimental effects on the individuals’ quality of life and recovery, yet up until the twenty-first century treatment had largely been concentrated around symptomatic improvement, with the assumption that functional recovery would automatically follow. However, statistics on functional outcomes for individuals with schizophrenia and other psychotic illnesses suggest that this is in fact a relatively rare phenomenon. The definitions of “functioning” and “outcome” have also been poorly defined and inconsistent over the years, with alleviation of psychotic symptoms and decreased hospital admissions weighing heavily in the characterisation of improved functional outcome. In the last decade most studies have included a general measure of global functioning and/or education/employment as an indicator, but these performance measures have generally not been the primary topic of interest. Only recently has the incorporation of “social” functioning (i.e. social competence, independent living, community involvement and interpersonal relationships), been included as an important factor in overall outcome and moved into the spotlight as a major target for intervention. Historically, social skills training and cognitive remediation have been used to target deficits in social behaviour and cognition, respectively. However, new intervention strategies are being designed to target the underlying thinking patterns related to social interaction, termed social cognition. 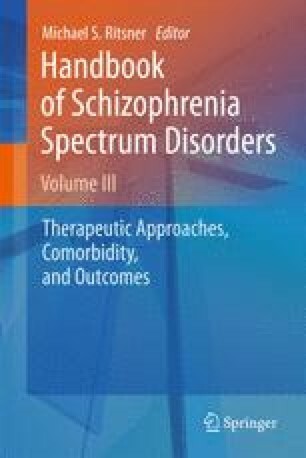 This chapter will review the different types of interventions that have been or are currently used to treat social and occupational dysfunction in schizophrenia spectrum illnesses, and assess their effectiveness in terms of the immediate and longitudinal outcome. We would like to acknowledge the National Health and Medical Research Council of Australia for fellowship funding awarded to Dr Bartholomeusz.